The average temperature in India was “significantly above normal” in 2018, making it the sixth warmest year the country has witnessed since 1901 – when it first began recording climate data. The winter season was the fifth warmest. In its ‘Statement on Climate of India during 2018,’ the India Meteorological Department (IMD) said on Wednesday that last year, the annual mean surface air temperature, averaged across the country, was 0.41°C above (1981-2010 period) average. 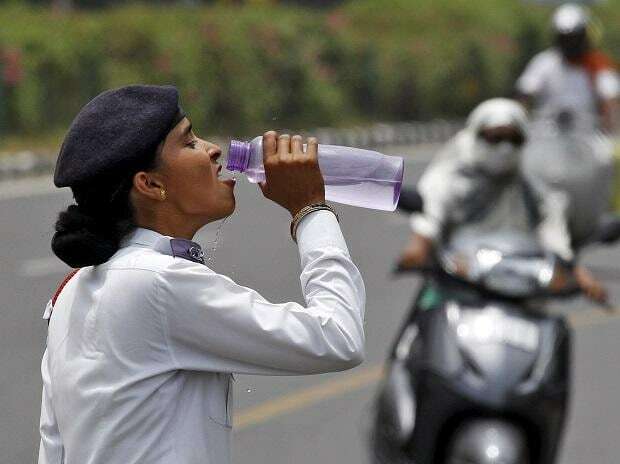 For some states, the temperature soared even well above that – such as in Rajasthan and Andhra Pradesh. According to a Quartz report, heatwaves have increased in duration. Global warming could further increase both their frequency as well as intensity. This would, in turn, pose a threat to public health. The national weather forecaster further noted that over 1,400 people died in extreme weather events last year in India, and according to a National Disaster Management Authority report, between 1992 and 2016, nearly 26,000 died. While 2016 (0.72°C) was the warmest in India’s recorded history, 11 out of the 15 warmest years have so far all been within the last 15 years. The last decade (2001-2010/2009-2018) was also the warmest on record. This “clearly shows that ‘global warming’ is happening and we need to prepare ourselves to face the consequences,” M. Rajeevan, secretary of the earth sciences ministry told Times of India. Of these deaths, 223 were from Kerala alone. About 160 from Uttar Pradesh, 139 from Maharashtra and 116 from West Bengal died during the monsoon season. If we consider state-wise calamities, Uttar Pradesh suffered the highest loss, reporting near 600 deaths due to cold waves, thunderstorm, dust storm, lightning and floods. Of these, 92 lives were lost due to dust storms. Over and above the loss of life, the effects of climate change are also harming the health of agricultural crops. The agriculture ministry recently said that the wheat production in India will decrease by 6-23 per cent by 2050 if effective steps are not taken in a timely manner. The production of maize, paddy, sorghum, mustard, potato, cotton and coconut are also likely to be affected.